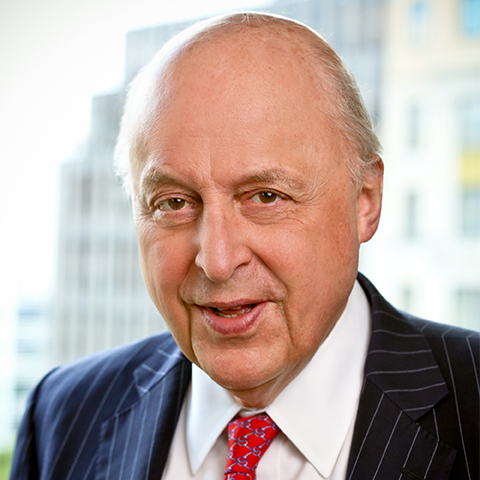 John D. Negroponte is a Brady-Johnson Distinguished Fellow in Grand Strategy and Senior Fellow at the Jackson Institute. Ambassador Negroponte has had a distinguished career in diplomacy and national security, followed by a number of years in the private sector. He has been Ambassador to Honduras, Mexico, the Philippines, the United Nations, and Iraq. In Washington he served twice on the National Security Council staff, first as Director for Vietnam in the Nixon Administration and then as Deputy National Security Advisor under President Reagan. He has also held a cabinet level position as the first Director of National Intelligence under President George W. Bush. His most recent position in government was as Deputy Secretary of State, where he served as the State Department’s Chief Operating Officer. While in the private sector from 1997 to 2001, Ambassador Negroponte was Executive Vice President of the McGraw-Hill Companies, with responsibility for overseeing the company’s international activities. During those years he was also Chairman of the French-American Foundation. Ambassador Negroponte serves as Chairman of the Council of the Americas/Americas Society. He is also Co-chairman of the US-Philippines Society and a member of the Secretary of State’s Foreign Affairs Policy Board. Since 2013, he has been Chairman of the Intelligence and National Security Alliance. Ambassador Negroponte has received numerous awards in recognition of his more than four decades of public service, including the State Department’s Distinguished Service Medal on two separate occasions, the highest award which can be conferred by the Secretary of State, and on January 16, 2009, President Bush awarded Ambassador Negroponte the National Security Medal for his outstanding contributions to US national security.